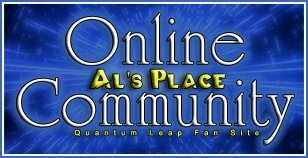 The "Worst Episodes of Quantum Leap" thread, being so negative in nature, unsurprisingly brought out the worst in some of us (myself included), so in an effort to bring back some positivity, I would like to know how you would improve some of your least favorite episodes? Not entirely on topic, but after being disappointed with watching a flat episode with a friend (pretty sure it was Piano Man), my friend turned to me and said "if there weren't poor episodes, there wouldn't be good ones." I don't know if I'd agree with that 100% (it's been a while since I saw Blood Moon) but I generally agree, yes. There are definitely a handful each season that seem more "special" than the rest (IMO), but there's very few I'd skip.